Heat pump units can either heat or cool spaces. 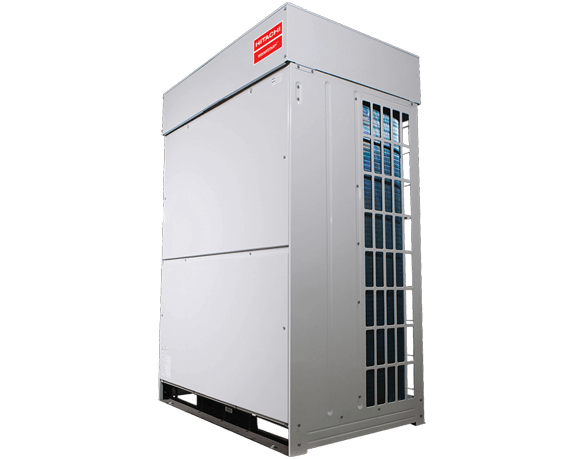 Hitachi SmartFlex™ VRF Low Ambient Heat Pump units offer an extended operating temperature ranges outdoor ambient temperature as low as 14°F (-10°C) in the cooling mode and as low as -13°F (-25°C) in the heating mode. Long refrigerant piping lengths – up to 3,281 feet total pipe run. Able to operate up to 64 indoor units on a single piping network.